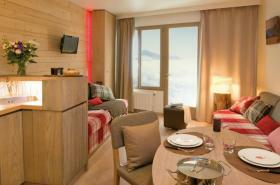 Located in the Crozats district, the new Pierre & Vacances Les Crozats Residence offers panoramic views of the mountains and direct access to the ski slopes. 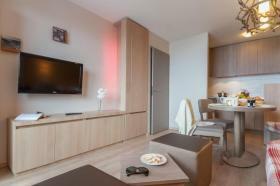 For your comfort: cardio-training room, hammam and sauna. 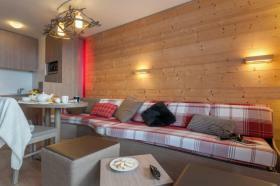 Built in a traditional regional style, the self-catering ski apartments are comfortable and have been finished to a high spec. 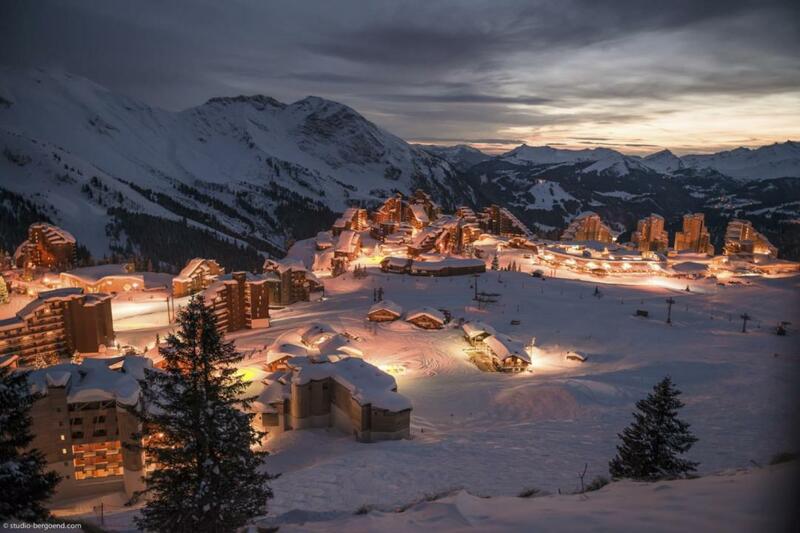 A number of activities are available both in the residence and local area such as: 'Les Portes du Soleil', one of the largest ski domains in the world: 650 km slopes between France and Switzerland. Paragliding, dog sled driving, horse sleigh rides, snowshoe walks, moutain biking on ice, 'avoscoot', ice diving... Well-being and relaxation within the complex: cardio room, steam room and sauna. 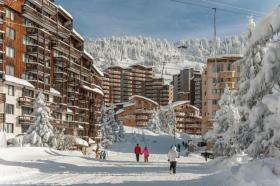 With ESF ski school or the 'Village des Enfants' even the very young can experience skiing. 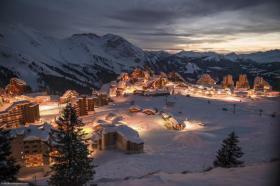 A car-free resort situated in the heart of 'Les Portes du Soleil'. 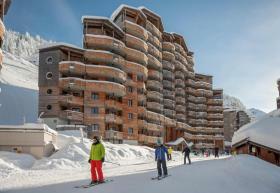 A top of the range residence with easy access to slopes and located in the heart of the resort. 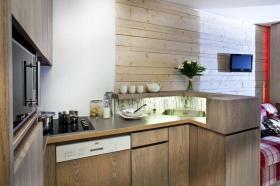 Well-being space: sauna, hammam, cardio-training room. 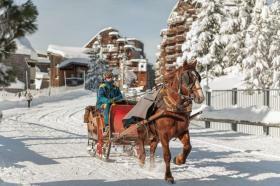 In Upper Savoy, Avoriaz is a car-free ski resort, where cars have been replaced by horse-drawn sleighs throughout winter. The resort offers a range of on-piste and off-piste activities allowing you the freedom to do what you want during your ski holiday. 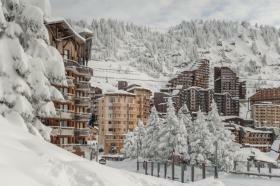 Overlooking Morzine, Avoriaz' state-of-the-art infrastructure has become a favourite ski destination with all residences benefiting from ski in/ski out locations. * The proposed services in the selected destinations, are subject to availability. 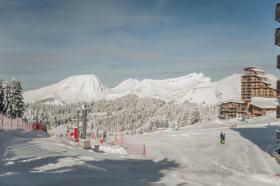 Spend the winter months on the slopes! Book your ski-pass in advance and avoid the queue. You will get it at your residence reception at your arrival. 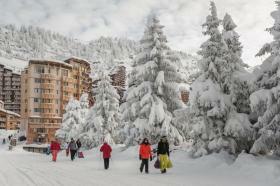 You can add ski passes to a reservation up to 5 days before arrival. 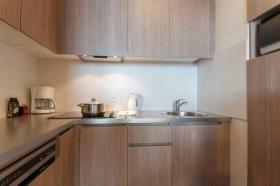 Contact us directly at info@bungalow.net! 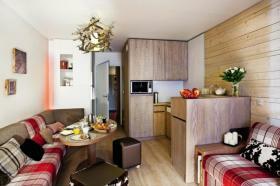 1 bedroom with 2 single beds and 1 pull-out or folding bed. The check-in is from 16:30 pm, the departure must be before 10.00am. or barbecues. 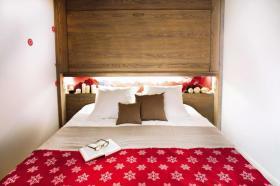 You can bring your own bedding or can rent it locally for € 8, - per person will be hired. 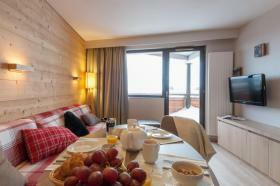 Breakfast service: € 7,80 - per person per day. The final cleaning is to be paid locally. 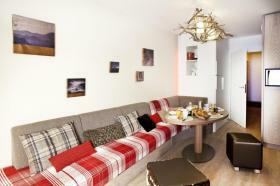 This is at the small apartment € 25, € 30 and the average apartment, in the very large apartment € 35. For the kitchen dish soap, purification tablets for the dishwasher, kitchen towels, dishwashing brushes, sponges, etc., as well as toilet paper, towels and bath towels are not included in the price! The exact time must be clarified locally.